Often times we revisit familiar places in life. Places we don’t always wish to go back to. Places of stagnation or feeling stuck. A place where we feel little to no progression. I’ve expressed these feelings countless times with you all. And although no one is perfect, it’s not always easy to admit the same feelings once again. But you have to be honest with yourself. I’ve begun to realize that I haven’t spent much time to make sure Krystle was in a good place. Emotionally, spiritually, time, Etc. I’ve been doing so much running. Trying to take care of all of the things I felt were of great importance. But realizing that nothing was actually being done effectively. Because I had a list of what I thought were my greatest priorities, I didn’t know where to start. I’d plan, make lists, but I wasn’t executing in the most effective way. It took me some time to finally see for myself why that was. As I mentioned in a post months ago, I’d made the decision to seek out a therapist for counseling. Which was the first step of taking care of Krystle. With all of the stigmas attached to counseling, I decided to do it anyway. I wanted to talk some things out, dig deep, and put some of the loose pieces of the puzzle, that is my life, together. I searched, and was able to find a therapist that fit what I was looking for. As we began to dig deep within our sessions and I began to talk about certain things, it became clear. I discussed all that I wanted to do, all that I wanted to be a priority, and also things and people I put first. I began to see a little clearer; I began to see that I had to do more to start taking care of me. And I now see how it has effected every area of my life. The lack of consistent care for Krystle, has effected literally every area in my life. The stress I’ve been experiencing, my failure to effectively take care of my priorities as a leader, my difficulty and lack of patience with work and people, the drought and standstill; is all a result of not properly taking care of myself. Although Ive seen the signs beforehand, I began to see it from a different angle. I realized that I couldn’t continue to live in a space with little to no peace. It’s uncomfortable, and not at all beneficial to myself or the lives of others. So I began to take action. Aside of starting therapy, I began to cut back on things. I’ve taken a step back in a few areas to give myself time to get in the right headspace. I realized that I used to constantly put myself on the back burner, and felt bad if I wanted to make myself a priority. It’s amazing to put others before yourself, but putting yourself first is so very important. One can never succeed in other areas if they haven’t taken care of themselves. It’s literally impossible. If you’re not in a certain headspace, your execution will never be fully effective. It’ll lack, because somewhere inside, you’re lacking. If you’re not whole, you can’t always help others to become whole. There’s a saying, the blind can’t lead the blind. If you haven’t taken care of yourself you can’t see properly. Your vision isn’t 20/20. And there’s no way you can be effective. After thinking about this deeply, I no longer felt as bad as I did cutting back in certain areas. It’s unhealthy to try to do everything around you and leave yourself to the side. 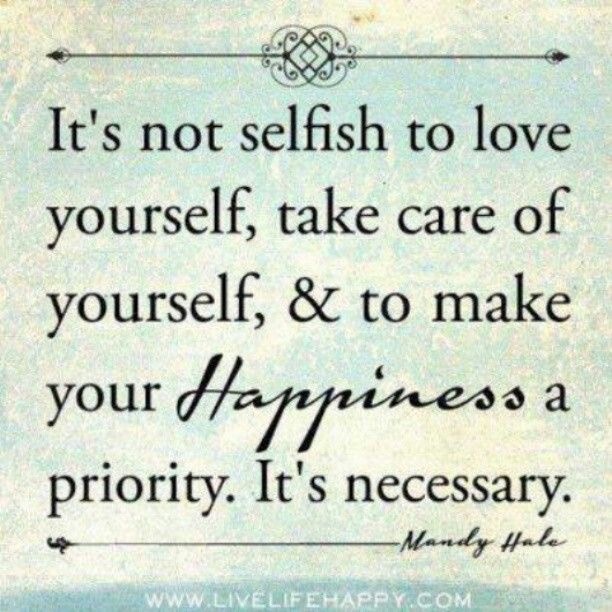 Again, in order to be successful and effective, you must take care of yourself first. Don’t feel bad, or feel like you’re being selfish for not doing all that you would normally do. If it’s taking away from you, or leaving you to lack, or causing stress; take a step back for a little while. Allow yourself to recover, and get back in it. When you’re in the right headspace. Above all else, take care of you.